Ragnar Hjartarson’s last position was as the Vice President in product jewelry design at Swarovski. Before this lies a career journey that many dream of, such as working at Hermès and Cartier. But how did Mr Hjartarson create this path for himself? We wanted to give our readers the chance to see through the eyes of a passionate jewelry expert, who has transformed his vision through many luxury fashion houses. 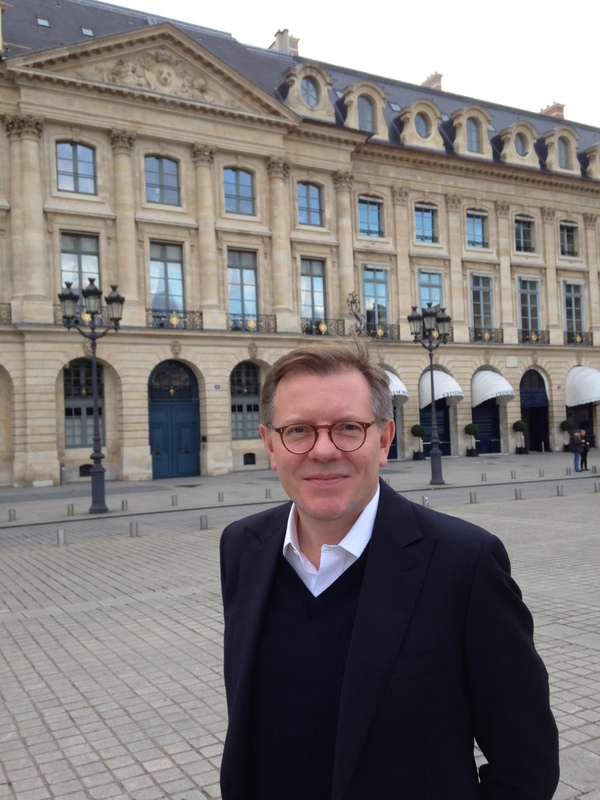 Born and raised in Reykjavik, Iceland, I have lived in Paris for 25 years where I gained expertise in the field of jewelry for leading international brands such as Cartier, Boucheron, Georg Jensen, Hermès and Swarovski. As a creative leader, my passion is to transform a vision into concrete actions and commercial successes. I have a strong passion for Design at large but also classical music and French gastronomy. Do you remember your first job interview? What was it for and how did you feel? Going through job interviews is somehow like going through exams. If you are well prepared and motivated for the job, the interview should be a moment you can put yourself on stage and enjoy it. My first interview in the luxury business was at Cartier. I was so convinced that it was the right person for them that I managed to convince the interviewers even if I did not have the typical background. During your studies, did you have any idea/goal to end up working in the jewelry industry? Absolutely no clue. I prepared my studies more for international diplomacy. I have often been asked this question since and I think that if you are naturally interested in design and craftsmanship the destiny somehow takes you there. How did you start your career in jewelry, before landing your job at Cartier, what are some steps you took/ jobs you did? I started my career to modernize new ways of working in my area. It brought me into a cycle of missions in different companies always with the same objective, to develop and transform organizations and businesses. Is there something specific about jewelry or the industry that until today, makes you passionate about your job? I am first of all passionate about the materials we work with in the jewelry industry, weather it is precious stones or crystal and, just like in fashion, it is exciting to observe inventions and reinventions in the industry with the use of these materials. Throughout your career, what has been a significant moment in which you felt accomplished or proud? I am always proud when I can celebrate successes together with my teams. These are the greatest moments in my career. Back in the 2010 when you were the commercial director of jewelry at Hermés, what would you say was your favourite role or responsibility you had? Transmitting knowledge about design, materials and craftsmanship. You spent the largest part of your career at Swarovski, why is that? As said before, crystal is a material I am passionate about , you can play with sparkle and light in endless shapes and colors. I am very attached to the history and the heritage of Swarovski which has never stopped inventing techniques and craftsmanship. Out of all the jewelry you have seen or helped create/manage, do you have a favourite which you will never forget? I will never forget my first moments at my first job in Cartier where I discovered jewelry that, so far, I had only seen in history books. What is one piece of advice you would give to someone that wants to follow a career path like yours? I have often asked candidates I am interviewing why they are interested in working in luxury. I think that I can easily detect if there is a real motivation or not for aesthetics, craftsmanship, quality and service. Show your passion for the product, the customers and the brand instead of saying that you have always wanted to work in the field of luxury. Often we hear about failure being our biggest motivator, is there any life lesson you would like to share with us? Which you learned in your career? I learned that our mission is to create dreams for other people. Some people working in luxury sometimes tend to forget it as they would be creating the products for themselves. What it was like seeing through Ragnar’s eyes.. This interview gave me an insight into the world of the luxury jewelry industry and all the craftsmanship, visionary minds and quality perception that goes with it. As many, I admire the luxury sector..Ragnar reminds us that there is a dream behind the admiration that it creates – which is what captures individuals like me and you. This dream is important, and it’s catered to each of us. But, it takes hard-work, motivation and passion to achieve what you set your mind to. We hope this interview inspires you the way it inspired us!